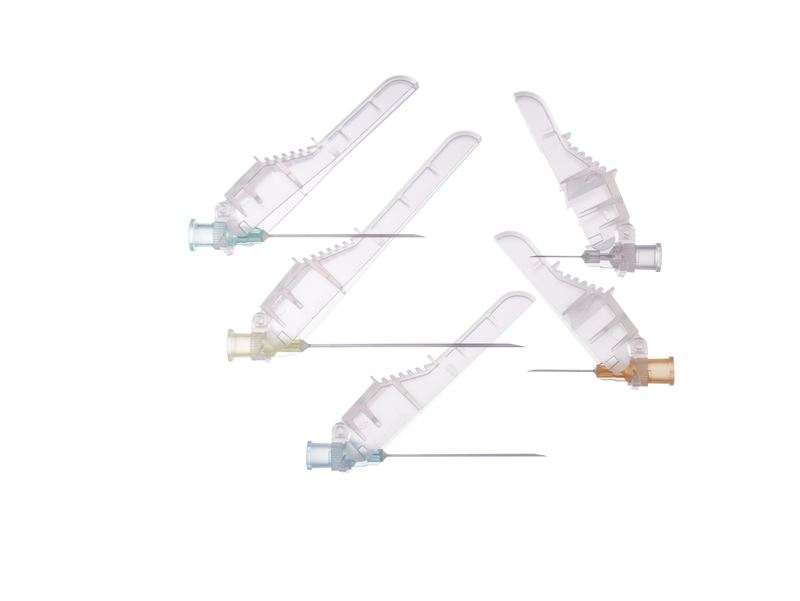 Dedicated to the pharmaceutical industry, K-Pack Surshield™ is an innovative hypodermic needle with an integrated passive sharps protection feature for use with (pre)-filled syringes. The device geometry is designed to allow for automated manipulations during the packaging process, making it ideal for bundling and inclusion into the secondary packaging of parenteral medication. The SurGuard®2 needle has been developed to meet the market’s requirements and offers you a simple SAFETY solution. 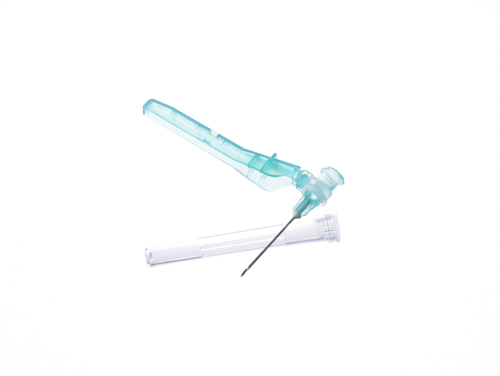 It's simple locking mechanism will reduce needle stick injuries significantly and can easily be activated by using only one hand! 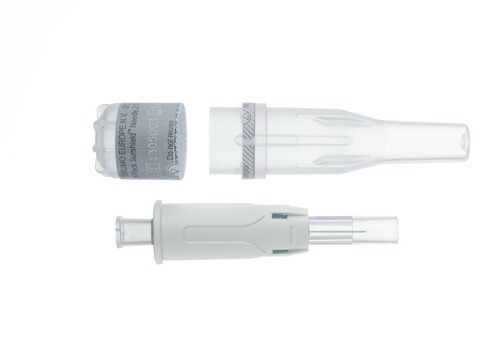 The SurGuard®2 needle’s standard hub equally fits to all luer lock and luer slip syringes. 3 ways of safety activation to suit individual clinician needs and preferences: flat surface, finger or thumb. Sharper needles for more comfortable injections for patients1. Sheath locks to both the needle and the hub to provide added security and clear, audible and tactile feedback. Finger / thumb grips designed to suit most hand sizes. Can be used on luer slip tip and luer lock syringes.